As I said in my last post, I continue to believe in Christianity because Christianity helps me to make sense my world: my experiences, my intuitions, my gut-instincts, what I know of philosophy, history, science and so on. I also said that I do not believe in Christianity because I think that I can prove it. I do not believe that I could derive the entire edifice of Christian belief from first principles or what have you. I do, however, believe that Christianity is a bit like an existential hypothesis, a working “theory of everything” (and by “everything” I mean much more than theoretical physicists do), adopted, as all hypotheses are, in the faith that it will help me to make sense of and to make my way in the world, and that can only truly be tested by consistently living it out. For such existential hypotheses, the proof of the pudding is almost entirely in the eating. Nevertheless, I do believe that we can make discrete arguments for the proposition that Christianity makes more sense of “life, the universe, and everything” than other worldviews do. Christianity, of course, involves believing in “God the Father Almighty, Creator of Heaven and Earth.” While it is not uncommon to find people who doubt that God exists nowadays, it is very rare to meet someone who doubts that we do. Excepting the occasional solipsist, we can all pretty much agree: We are here. Given that consensus, I thought it would be fun to take a look at a few of the ways the sheer fact of our existence makes more sense if we believe that this God–the God of classical Christianity–exists than it does if we don’t. There is something, rather than nothing. In 1948 when the BBC famously aired a live debate between the great atheist philosopher Bertrand Russell and Father Frederick Copleston, a Jesuit priest and philosopher, on the question of God’s existence, they began by discussing the apparent contingency of the universe. The matter is often framed as a question: Why is there something rather than nothing? Or, to put it another way, why is there a physical world at all? In short, you would be hard pressed to find a single concrete object that might not have been different than it is or that might not have been at all. Take any object–whether the coffee mug on my desk, or the moon, or the Higgs-Boson, or the Crab Nebula–and ask “Why is this particular thing here?” and you will find yourself working backward through a long chain of reasons, explanations, conditions, and causes. You do this because you know that were it not for those causes and conditions, the object in question either would not be or would not be what it is. The world is made up of contingent things, things which depend upon other things for their existence. Now consider that the physical universe itself, being entirely composed of such contingent objects, must itself be contingent. The existence of the universe is not, so far as we can tell, metaphysically necessary. The universe might very well have not existed. The fact that it does exist cries out for some sort of explanation. Why is there something rather than nothing? When Fr. Copleston pressed Lord Russell for some explanation as to why the universe, which gives every evidence of contingency, exists, he could give none. “I should say that the universe is just there, and that’s all,” was Russell’s answer. Unlike Lawrence Krauss, Russell at least understood that the existence of the universe, the totality of the physical world, could not be explained scientifically by postulating a further physical cause (e.g., quantum vacuum), for that physical cause would in turn require some sort of explanation. To avoid an infinite regress, one must look for a metaphysical explanation for the existence of the physical world, and posit a necessarily existing condition or cause to explain the contingent order. I don’t believe that this line of reasoning proves the existence of the God of Abraham, Isaac and Jacob. Nevertheless, I think it’s true that believing in the God of Abraham, Isaac and Jacob enables Christians (and Jews, and Muslims) to begin making some sense of why there is something rather than nothing. Christianity has always held that God the Creator exists necessarily–He is neither contingent nor composite nor temporary nor finite–and as such He fits the job description for the only sort of Being (indeed, the only Ground of Being) that could provide a final explanation of why the universe exists. The only other alternatives seem to be an absurd infinite regress or saying “that the universe is just there, and that’s all,” which is not an answer but an evasion of the question. But is the universe “just there”? Perhaps the greatest scientific discovery of the twentieth century was the Big Bang, the fact that the physical universe appears to have burst into existence 15 billion years ago and is expanding to this day. Scientists generally agree that probing beyond or behind the moment of our physical universe’s origination is simply beyond the ken of the physical sciences. As Stephen Hawking puts it, “The beginning of real time, would have been a singularity, at which the laws of physics would have broken down.” Scientists can only speculate about that to which physical laws do not apply. Here experimentation is simply impossible. Of course, the believer should be wary of leaning too heavily on the Big Bang as an argument for theism. Father Georges Lemaître, the great Catholic priest, astronomer and physicist who first proposed the model of an expanding universe, warned Pope Pius XII not to treat the Big Bang as a proof of the Christian doctrine of Creation, for science is ever-changing and new evidence might someday disconfirm the theory. Nevertheless, if the physical universe had a beginning, then something beyond the physical universe must explain it. To my mind, God is no more speculative a suggestion than anything else on offer. 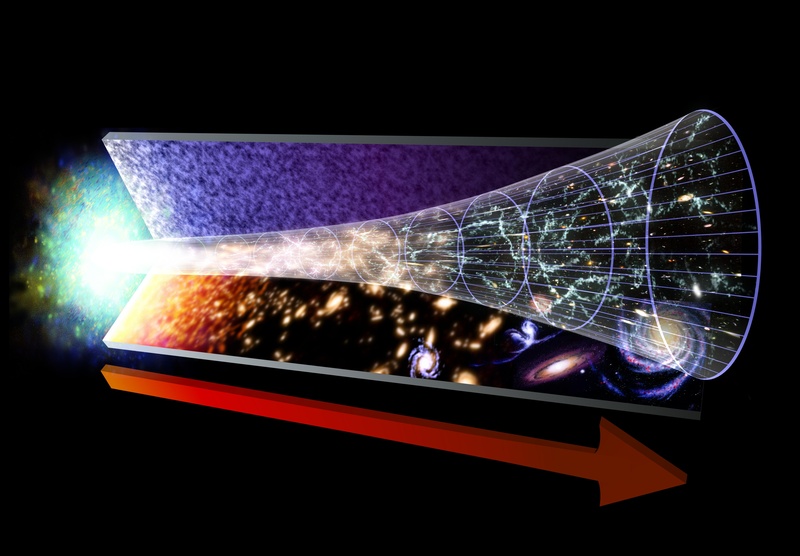 If the initial explosion of the big bang had differed in strength by as little as one part in 1060, the universe would have either quickly collapsed back on itself, or expanded too rapidly for stars to form. In either case, life would be impossible…. Calculations indicate that if the strong nuclear force, the force that binds protons and neutrons together in an atom, had been stronger or weaker by as little as five percent, life would have been impossible. Calculations by Brandon Carter show that if gravity had been stronger or weaker by one part in 1040, then life-sustaining stars like the sun could not exist. This would most likely make life impossible. These are just a few examples. As one looks at this sort of data it becomes more and more apparent that our world is not only contingent, but incredibly improbable. The cosmic deck appears to have been stacked in favor of life. Of course, appearances can deceive. Atheists who do not want to entertain the suggestion that this universe may have been designed and created by an Intelligence in order to give rise to other intelligent beings, have a ready answer: Maybe there are billions of parallel universes. In which case it would be a matter of course that at least one of these billions of universes would meet the specifications necessary to life’s existence and we just happen to occupy one of those universe. Indeed, where else could we be? But let us note that positing the existence of a Multiverse is just as much a metaphysical speculation as positing the existence of God, an intelligent, necessary Ground of Being. As the distinguished South African cosmologist and mathematician George F.R. Ellis has argued, the Multiverse is inherently incapable of scientific demonstration. It is by definition beyond the purview of the natural sciences and can only be debated as a matter of metaphysics. It should also be noted that billions of unprovable, contingent, parallel universes also cry out for some sort of explanation: Why is there a Multiverse rather than nothing? Is the Multiverse “just there, and that’s all”? Again, of course none of this amounts to a strict proof of theism, much less classical Christianity. Nevertheless, if one believes in Christianity, then our existence within this contingent, finely-tuned cosmos is made a little more comprehensible. On the other hand, belief in philosophical Materialism makes insoluble the question of why we are here: We’re just here, and that’s all. To my mind, Christianity is vastly more satisfying, intellectually and otherwise. But, as I said at the beginning, the proof of the pudding is in the eating. Posted in UncategorizedTagged Faith & Reason, Faith & Science, God, TheologyBookmark the permalink.